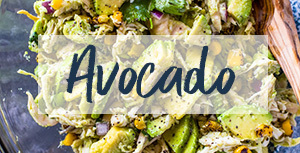 You know how you grew up eating pizza and fries, well I grew up eating things like baba ghanoush, falafel, and hummus (although I did have my share of pizza over the years!). As a child I was not a huge fan of authentic middle eastern food, but over the past several years I have developed an obsession with it. I love making all kinds of middle eastern foods and I just love to add my own spin on the recipes. 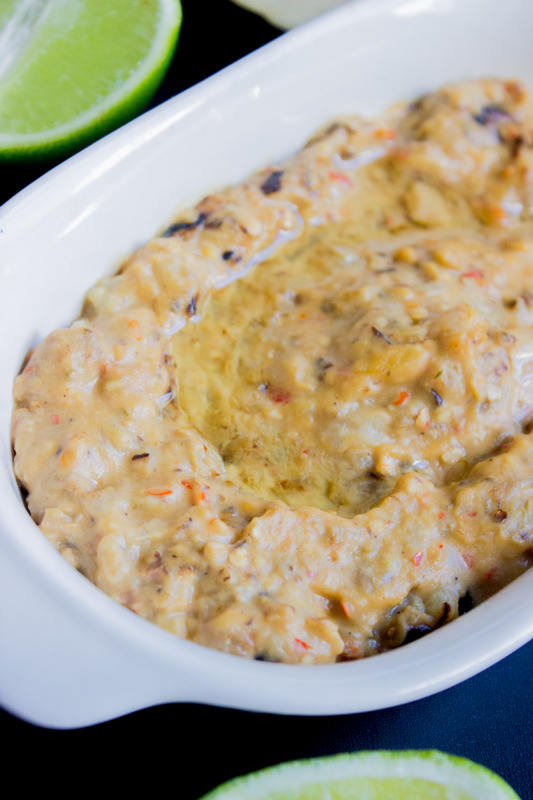 Baba ghanoush is a traditional middle eastern eggplant dipped that is served with pita bread as a dip or be eaten as a sandwich. This is the kind of dip that you can really play around with and add just about anything ( okay well not anything) you want. 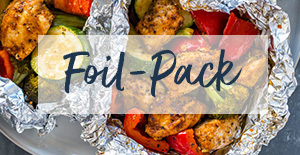 This recipe is very spicy and zesty. I sliced the eggplant and grilled them in light olive oil. I also added 3 cloves of sliced garlic because grilled garlic is amazing! After grilling the eggplant and garlic I removed most of the skin and left some because it gives the dip a nice texture. I then added 1 teaspoon of crushed red pepper flakes and 2 tablespoons of tahini paste. Tahini is basically sesame paste and can be found at just about any grocery store. If you do not want a spicy dip, you can omit the red pepper flakes. Traditionally, lemon is used for this dip but I decided to use lime because I love the zesty flavor that it adds. You do not need a food processor but you can use one if you are aiming for a more creamier texture. Now you mix all of the ingredients with a fork until they are well combined and top with olive oil. serve with pita bread, carrots and celery, or anything you want really. pour 1 tsp olive oil onto a hot griddle or pan. 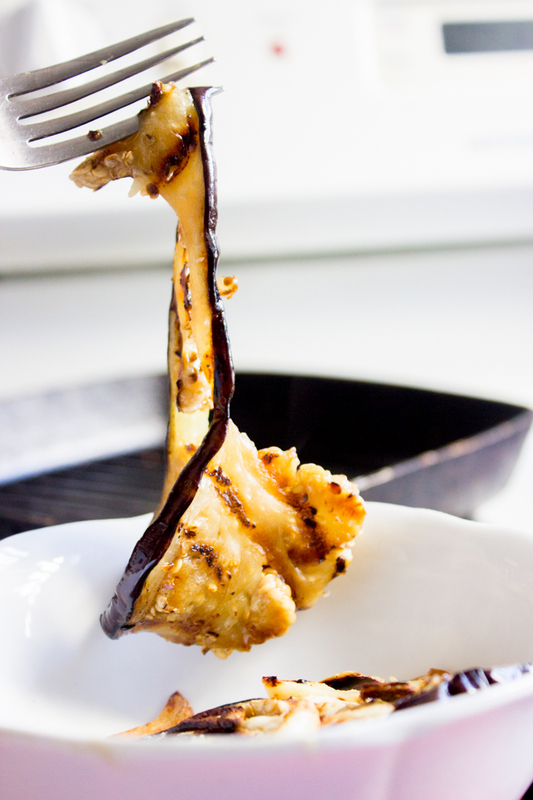 slice the eggplant into thin slices and place in the pan.Grill for 5 minutes and flip. Add the sliced garlic and allow the eggplant and garlic to cook for another 4-5 minutes until the eggplant is well done and soft. Remove from heat and place in a small bowl. Remove the skin off the edges of the eggplant. 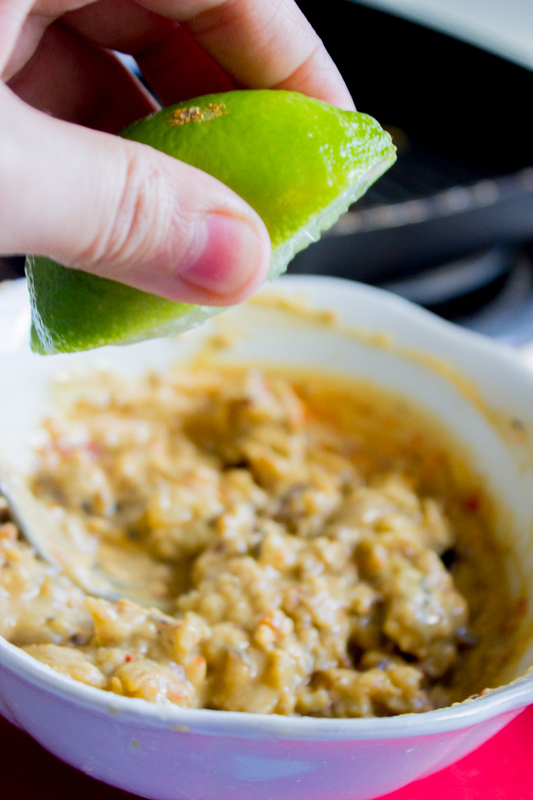 Add 2 tablespoons tahini sauce, 1 teaspoon red pepper flakes, 1 tsp salt, 1/4 teaspoon back pepper, and 1 teaspoon lime juice. Mix with a fork or blend in a food processor until everything is well combined and creamy. Top with olive oil and serve cold or warm. Can be stored in fridge for up to 1 week. I’ve never made Baba Ghanoush, but your version looks delicious, Layla…I’m going to have to try it! Thanks so much for linking up this great recipe to our Moonlight & Mason Jars Link Party. I wanted to stop by and let you know that you’re going to be featured this Wednesday! We really appreciate you joining us. Hope your week is off to a great start! 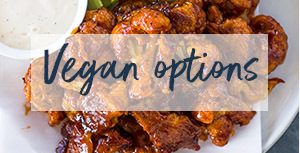 Yummy all the way–I love the vibrant spice/smokiness in this! This baba ghanoush is very original! Thank you so much Ashley! I’m glad you liked the photos! I can’t stop looking at these pictures. Maybe I should start grilling the eggplants… 🙂 Fantastic recipe. I’m sure your going to love the grilled taste Daniela! 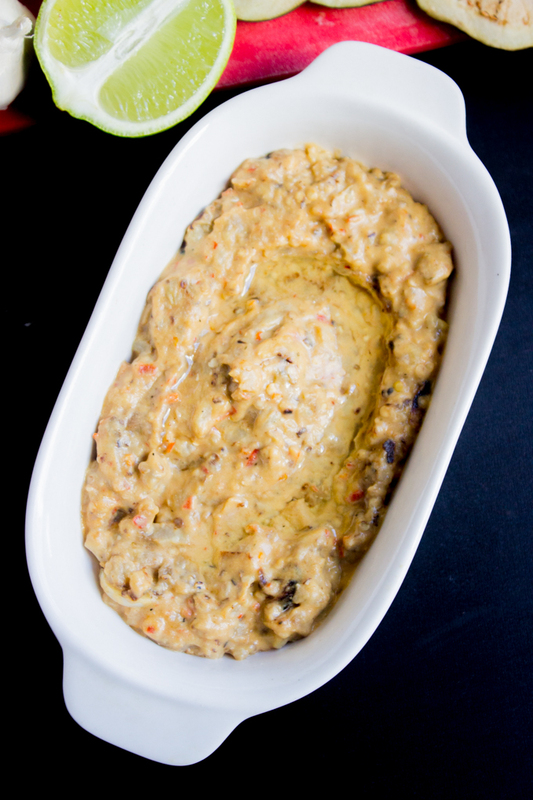 I could spread this baba ghanoush on just about everything! It’s one of my favorite dips, and I love how you kicked it up with spice. Me too Erin! I love using it instead of Mayo on sandwiches. It’s so much healthier and tastier! Crazy recipe! It looks incredible. Another recipe on my list for my wife. Seriously love baba ghanoush! Yours looks delicious Layla. Wish I had this dip and some warm pita bread right about now. 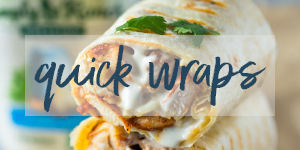 Spicy and zesty – yum! I love eggplant so much, but always forget to cook with it! Need to make this dip ASAP! I don’t think I ever really had Middle Eastern Food until I went to college, so I’m always so jealous of those who grew up on it since i love it so much now!! 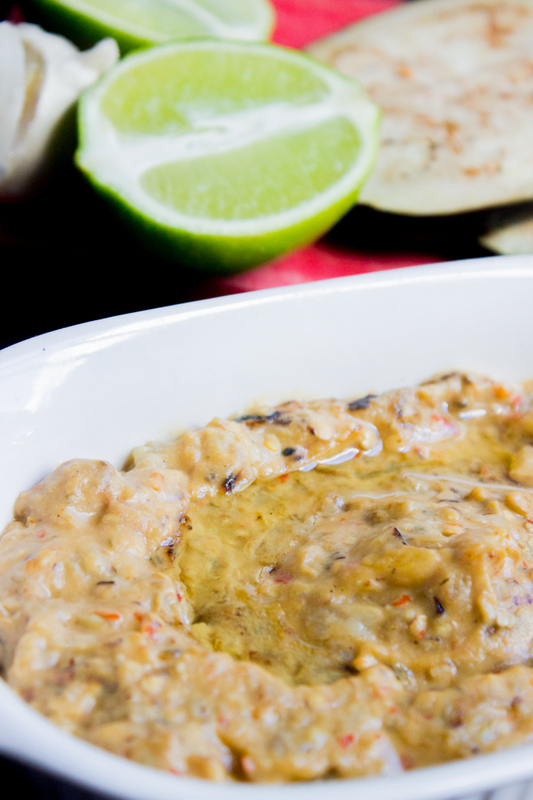 Baba ghanoush is an especially favorite. I’m sure it gets such great smoky flavor from the grilling! You had me at spicy!! I love eggplants and eat them a lot but not really in baba ghanoush. 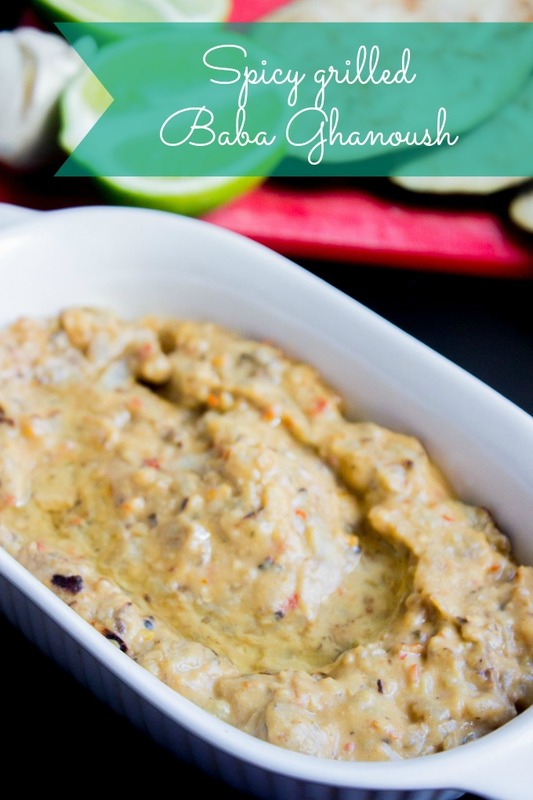 This Baba Ghanoush looks like something I could totally devour! I’ve always loved middle eastern food especially falafel and hummus. Thanks for sharing Layla, total pinning this! 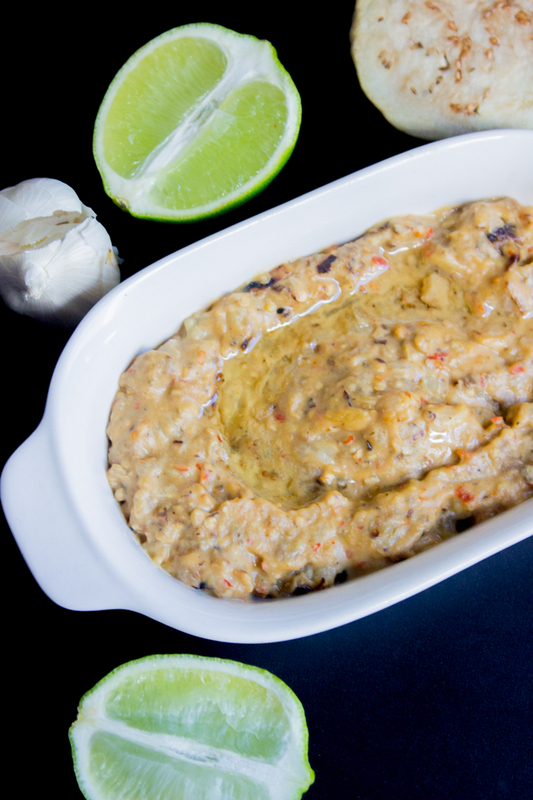 Your Baba Ghanoush looks incredible! 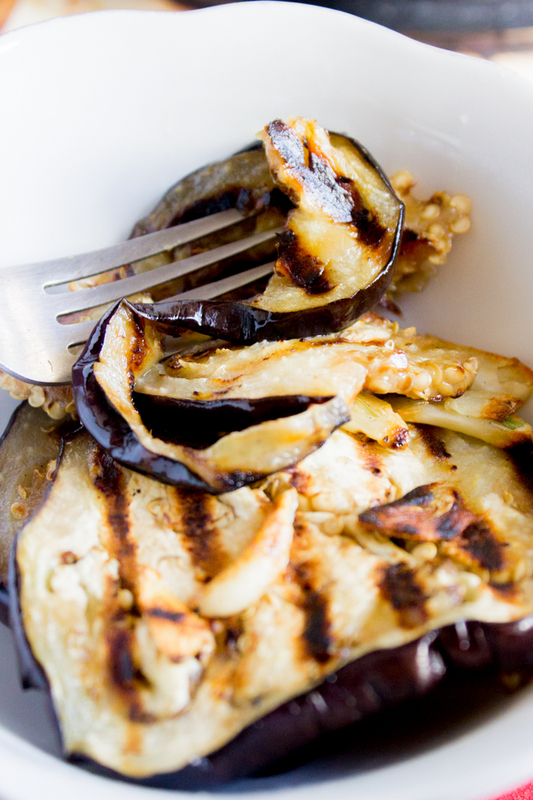 I love how you grilled the Egg Plant to add a wonderful flavor. Thank you Serena! glad you liked it. 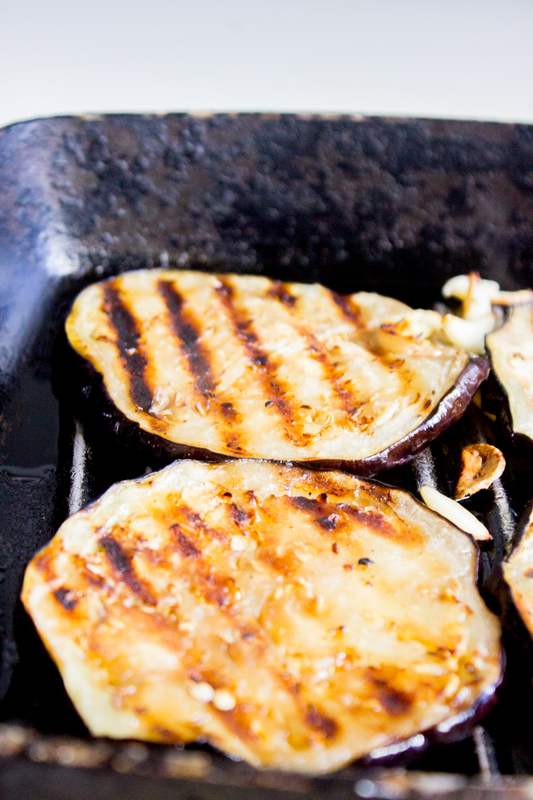 I love baked eggplant as well but grilling gives it a smokey taste. Do let me know if you end up making it Christina! I didn’t like Middle Eastern food growing up either, but now I can’t get enough! I guess my palate has become more sophisticated and refined over the years ;). 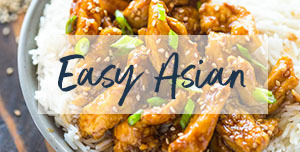 Great recipe and I can’t wait to make this soon! Yea it’s pretty amazing how our palates refine and become more sophisticated! 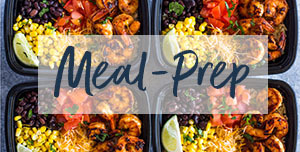 There are so many different cuisines I want to try this year but so little time! Wow. I don’t even know how to pronounce this but you certainly make it look tasty! What a treasure to grow up with such a variety of foods. I was not that fortunate. We stuck with the same basics a lot. Blessings! Yay spicy! Glad you liked it 😀 Happy Monday to you too Ashley! I’ve just recently gotten really into middle eastern food after years of not really liking it! Hummus and Falafels and tabouli are just so good so I don’t know why I waited so long! And baba ganoush is just about the ultimate spread. This one looks so good! I’m excited to try it! Thank you for pinning Gloria! You are lucky your boys like spicy food. My daughter on the other hand will not even try spicy food! I love baba ghanoush but have never tried making it at home. 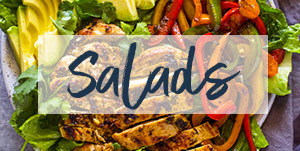 Yours looks perfect and sounds ncredibly tasty! Love this and pinning, thanks for sharing Layla! Kelly, Thank you for pinning! love your pics! looks great =) thanks for sharing! I think your food growing up was far superior to mine because yes, I did unfortunately grow up on pizza and fries. I SO love eggplant and I adore any recipes where I can get more of it in my diet so I am absolutely trying this soon! Thank you for the recipe! It is really amazing how much our taste buds change and how we get more adventurous as we get older. I never liked eggplant as a kid but love it now…and this is the type of food that was foreign to me but I’d gladly sit down and dip into now. Looks great! Yes it is. There are a lot of foods that I never though in a million years I would ever attempt to eat and now they are some of my fave foods. I love trying different cuisines and I just LOVE indian food!! This looks really fantastic. 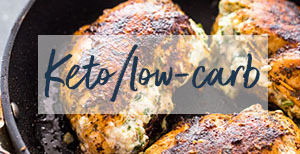 Such a unique recipe! My dad is a big eggplant lover so he would go wild over this dip! Sharing the recipe with him! 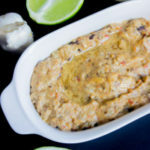 I’ve been on a huge eggplant kick recently, so this dip sounds perfect for me! Your photos really make me want to just dive right in! Marcie, Thank you! I’m glad you liked it! 😉 I usually go on “food” sprees as well. This is fantastic! I was just telling my husband how much I wanted to learn how to make some baba! I would take some hummus, baba ghanoush & falafel over pizza and fries any day! Great timing Liz! Glad you liked it!